The little prince who could one day be king is taking on a bigger role right now, learning to be a big brother, and judging from a new photo released today, Prince George clearly likes it. 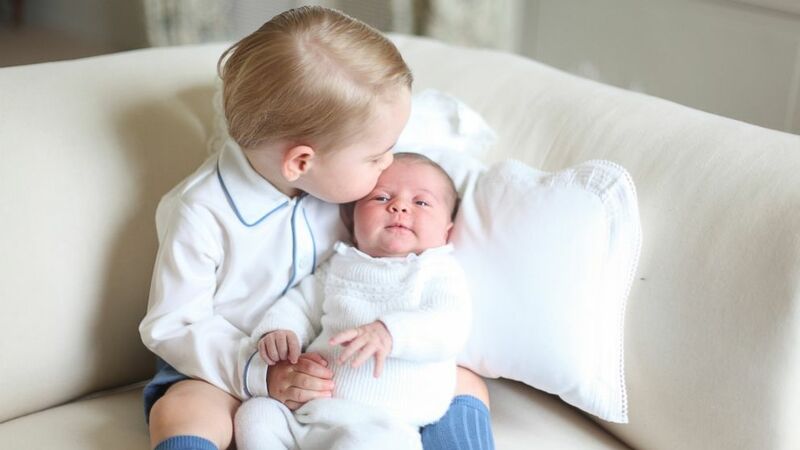 In the photo, he lovingly holds his 1 month old baby sister Princess Charlotte in his arms and kissing her at the couple’s Norfolk country home, Anmer Hall. The four new photos were taken in mid May by The Duchess of Cambridge. They are the first images of Princess Charlotte since her birth May 2 when the couple left St Mary’s hospital several hours after her birth. And the first time we have seen Prince George and Princess Charlotte together.